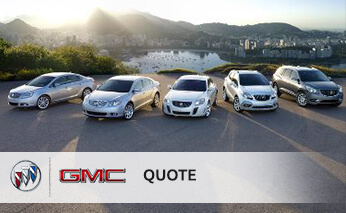 Seth Wadley GMC Buick makes it convenient for you to get a price quote on any new vehicle. Even if we do not have it in stock, we can get it for you and give you a price quote when we do. We try and make the new car buying process as easy as possible for all of our customers, and this allows you to get our special pricing offers without ever leaving your house. Please include any accessories or extra features you are looking for in the vehicle along with any down payment or vehicle trade-in information. This will help us deliver the best possible price on your new GMC or Buick. If you would rather speak with someone right away, please call us directly at (855) 984-6432.